Has Garmin Connect ever said “sync complete” but then the latest activity didn’t show up for you? My latest activities seem to be stuck in the history on my watch and no matter what they won’t upload to Garmin Connect. I submitted a support ticket with Garmin, but if you have any insight/advice it would be much appreciated. 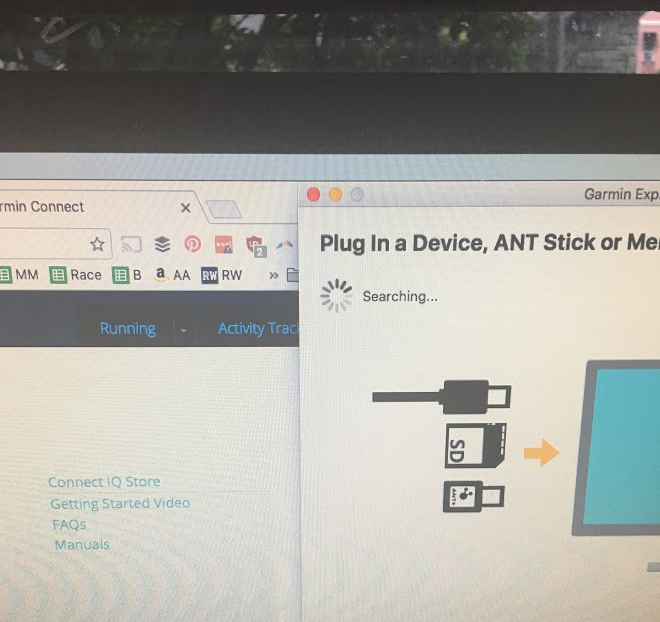 I tried an old fashion sync by plugging my Garmin into my computer but it got stuck “searching” forever :(. 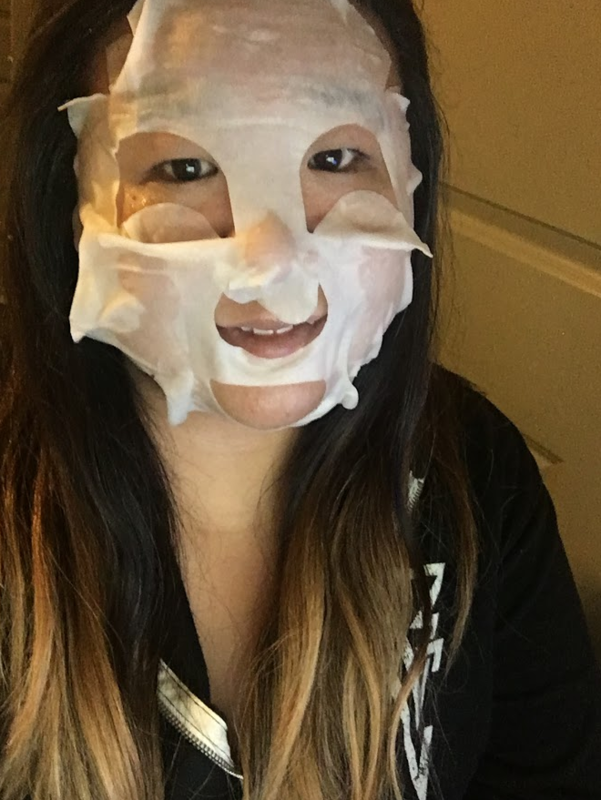 I was so frustrated by Garmin Connect I had to do a face mask to de-stress. I recently picked this Yes to Coconuts one up at Target for $1.99 :). It made my face tingle in a way that was very unexpected. It was INTENSE. I’m not sure I will do this mask again. Then again the packaging is very pretty and I’m a sucker for that sort of thing, so maybe I will give it a second try. 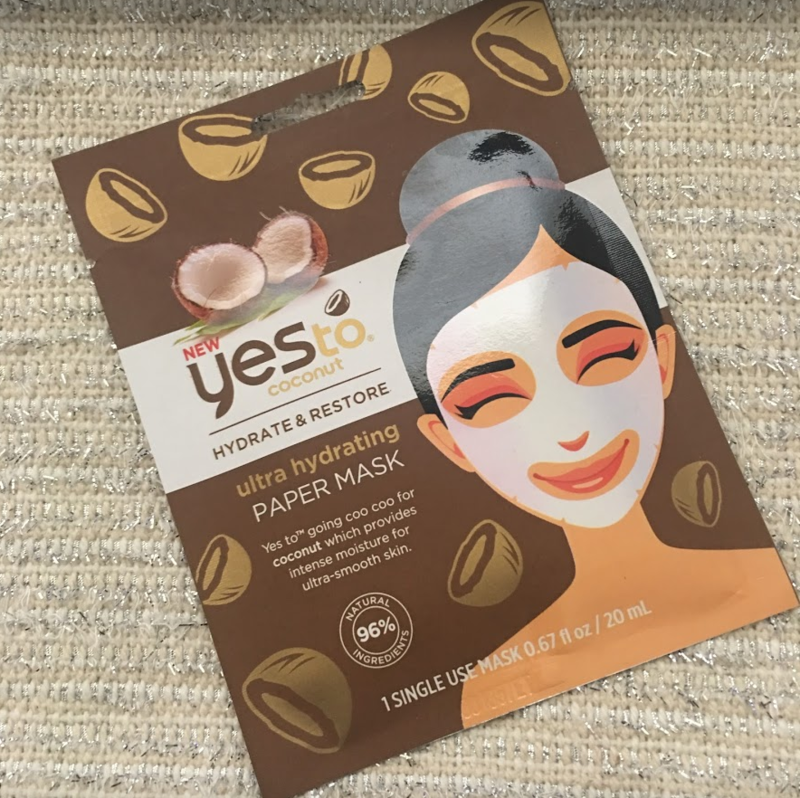 I do love most of the Yes To products! In case anyone is wondering my back is feeling MUCH better now. My hip is also feeling back to normal thanks to a few days of TLC! Today I will hit the ground running which makes me very happy. I’ve been listening to a lot of running podcasts and reading so many race recaps that I am very anxious to jump into Miami training. That doesn’t start for a few more days, but I’ll be ready when it does. If you aren’t too familiar with Sage, he started out as a road marathoner and was part of the Hansons program before he made the switch to trail ultras a couple of years ago. In the latest podcast episode Sage talks about how he’s overtrained for many races during his career – including races that he participated in while he was part of the Hansons program. He discusses how overtraining at times has led him to have too much cumulative fatigue to overcome during a taper period, and how this inevitably leads him to start a race with already tired legs with sub-par finishes. This made me very glad to have switched from Hansons to a Hal Higdon plan for the Miami Marathon. I think I was really pushing the envelope with Hansons. Towards the end there some of my easy runs just felt like crap. If overtraining can happen to Sage it can happen to anyone. However, if you are interested in reading about the experience of someone who loves Hansons and has had great experiences with it please check out Jennifer at Dashing in Style. She used the Hansons half marathon plan last year, and this year she’s using a custom Hansons plan for her first marathon – and she’s killing it! Plus she has a cute greyhound and some adorable cats :). I hope you have a great Tuesday! Go enjoy Jennifer’s blog! Have you ever had an issue with Garmin Connect like I’m having? I don’t think i have had that happen with my garmin before- Sorry! Glad you are feeling good and ready to jump into your training! It’s so frustrating because I can see the activity in my watch! Arghh! Thanks Cheryl! Hmmm I wonder if it has something to do with recently updating to iOS 10…? Maybe Garmin Connect needs to put out an update to work with the new os? Just a few times over the past four years I will get an activity that has a glitch – it’ll spin forever or just say sync failed. A few times a day later it suddenly loaded, but I think I have had two activities that I just had to delete and let go…for some reason the file was corrupt. I usually just delete all my activity folder when this happens and start fresh, my syncs would go a lot quicker . It stinks! I hate to lose any data. I hope mine suddenly loads one of these days! The timing on this Garmin glitch is funny. It’s almost like my Garmin knows I’ve been looking at buying the FR235 and now it’s mad at me! haha I’ll try deleting the history of my device and see if that helps! I’m glad we can snap now!!!! I’ve had issues like that before. I usually take my “TechChick” approach – reboot everything first! Besides goofing around with it forever, I do remember putting another activity on it, so it knows there is something new on it. Also, doing the manual sync where the watch sends all of your activities. On my old watch that option was a menu item, so you had to tell the watch to do it (not originating from the software). I would also delete the Garmin software on your computer and trying reinstalling it and then it (hopefully) will detect your watch again. Hope you get it to work. Very frustrating!! Thanks Lisa! I’ve tried everything except uninstalling and reinstalling the Garmin software on my computer. I’m hesitant to do that because I don’t want to have to upload via my computer at all since the bluetooth transfer is so nice and fast. I guess I just need to give it a try though! 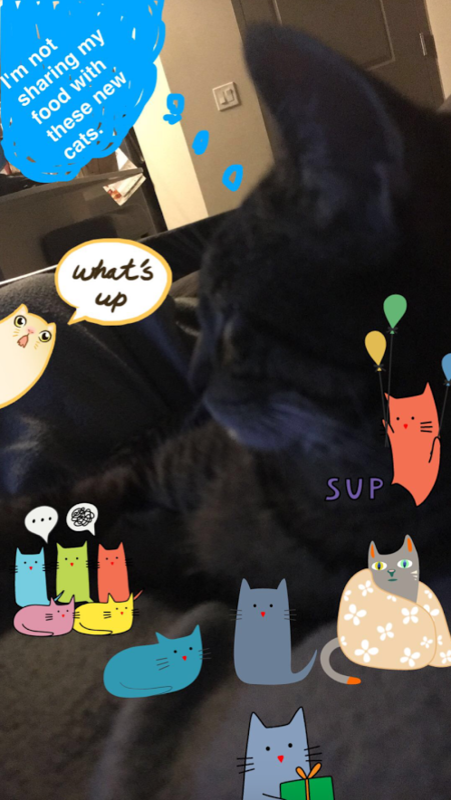 I love that kitty Snap you shared! So funny! I can’t figure snapchat out. My life just isn’t that interesting! I’m glad your hip is feeling better. What is with all these random aches/tight muscles? I think my body is breaking down from the heat; I never feel 100% rested! I hope you figure out your Garmin! I laughed again at your Hannibal picture. 🙂 Snap Chat changed my life…. Hahaha i know it did! Yesterday when you said something like “i’m sorry it’s taken me so long to send my snaps out today” I cracked up! You’re snapping like it’s your job!